By signing up to Enviro-Mark, we can ensure we are taking necessary steps to manage our carbon, environmental and energy impact on our environment, and shows we are committed to being sustainable and environmentally-friendly in all aspects of our day to day activities. 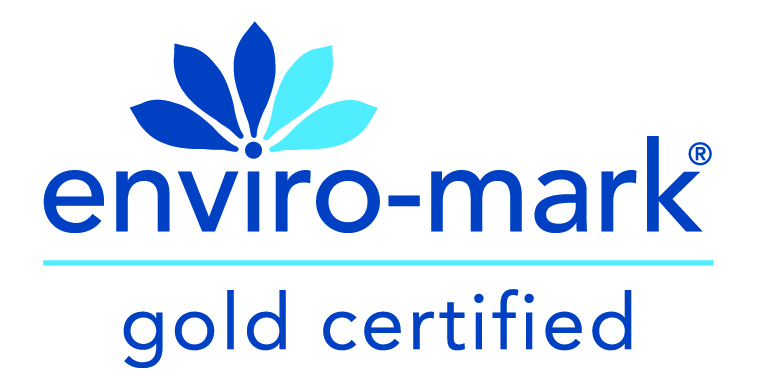 Enviro-Mark is New Zealand’s original environmental certification program. It provides member organisations a structured pathway for the development, implementation and maintenance of a robust environmental management system, or EMS. RCP Senior Associate, Matt Murphy, notes that an EMS is basically a “way of doing things” in an organisation that can lead to improved beneficial environmental outcomes. Enviro-Mark certifications are not just about recycling, it is also about being aware and looking after the health and safety of employees along with influencing and managing behaviours and processes both in each of our offices and on our project sites. You can read more about the gold certification here, and view other ways we are committed to the environment here.